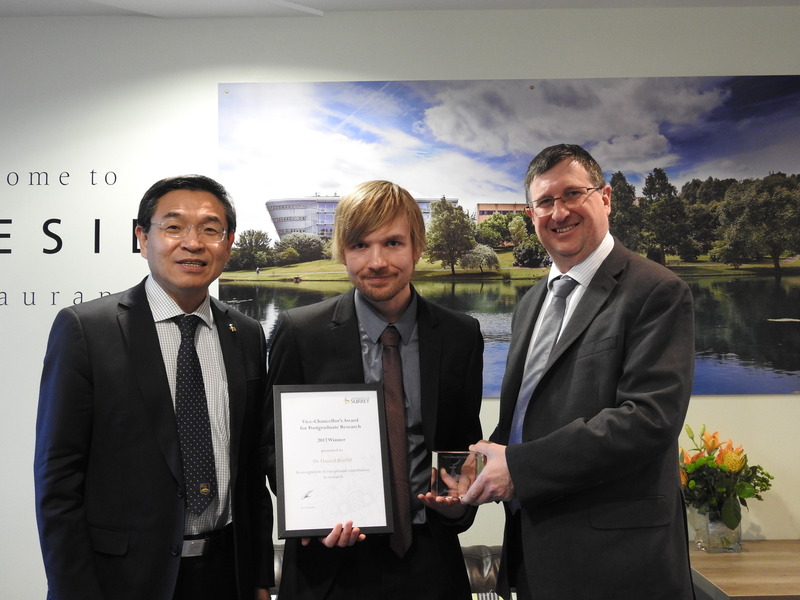 Congratulations to Dr Daniel Ratliff for being awarded university PhD student of the year at the University of Surrey. Dan passed his PhD viva in October and the title of Doctor was conferred at the end of November. Dan‘s PhD thesis was on “Conservation laws, modulation and the emergence of universal forms“, supervised by Tom Bridges & Matt Turner. The picture below was taken at the award luncheon on 14 December and it shows Dan with the Vice Chancellor (Max Lu) and the Vice Provost for Research (Atti Emecz).